Two Wensleydale artists, Brian Alderman and Moira Metcalfe, will be exhibiting in Scotland later this month and through October. 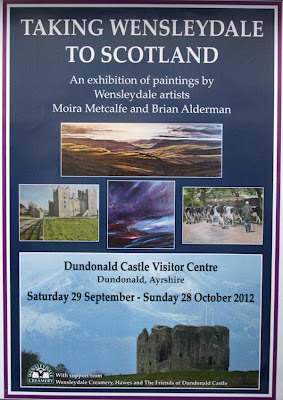 The venue is Dundonald Castle Visitor Centre in Ayrshire, Saturday September 29 to Sunday October 28. Find out all about Dundonald Castle and the Visitor Centre here.